The EP's first single, "Heavy," featuring Maroon 5 singer Adam Levine, was released in March 2012. "We were out on the road when I recorded it, and we were just having fun. And eventually these songs started to link together and make sense to me. It was an evolution, for sure." Morton's musical path began in New Orleans, where he grew up steeped in sound, from gospel (his father was a well-known pastor) to classic pop. "I learned to respect music early on," he notes. "That rich history is instilled in you before you really know what it is. That's why even if I do some current hip-hop beats on top of melodic stuff, I always have some real instruments going on - some horns, some strings. Growing up in New Orleans, you appreciate the real thing." 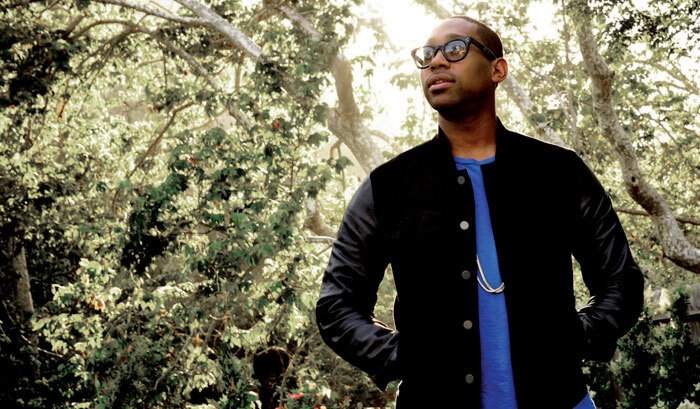 In his early teens, PJ Morton began to write gospel songs and placed his first song professionally when he was just 15. But his biggest break came quite by accident when he crossed paths with India.Arie when he was a junior at Morehouse College in Atlanta. "It was really a fluke," he recalls. "We lived in the same apartment complex. She heard me playing the piano in the lobby, and she came down and started singing. I didn't know who she was, but we started talking about Stevie Wonder and connected on that. She had finished her first record by then, but when the second record came around, she let me give her a song." That song, "Interested," was added as a bonus track on India.Arie's GRAMMY®-winning album Voyage to India. "It was kind of overwhelming," PJ says. "Jumping into mainstream music was something that I never thought I'd be able to do. It let me know that I was on the right path, and that I should keep on doing what I was doing!" 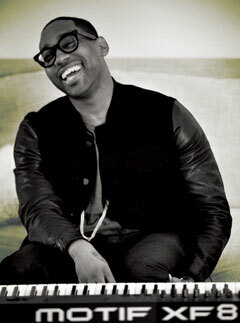 Morton continued to chart his course as a songwriter and keyboardist, working with Jermaine Dupri and artists such as Monica and American Idol winner Ruben Studdard before joining Maroon 5 on additional keyboards and backing vocals for their 2010 tour. When Jesse Carmichael, the band's longtime keyboardist, went on an indefinite hiatus in early 2012, PJ was ready to fill in. Fresh off the road promoting his own EP, PJ is now gearing up for an extended tour with Maroon 5, along with his new favorite keyboards: the 76-key Yamaha Motif XF7 and 88-key Motif XF8. I've been a fan of the Motif for years, but sonically, the XF has knocked it out of the park. "I've been a fan of the Motif for years," he says. "But sonically, the XF has knocked it out of the park. Maybe it's the sample rate, but it really feels good and warm. The Motif has always been a core keyboard for me, because I know I can kind of get everything I need out of it. Besides the specific sounds from specific keyboards that were used on the record, I can get the solid piano sound, the solid string sounds - the whole gamut of what I need to create." Even in guitar-driven Maroon 5 songs, keyboards play an essential role, Morton says: "A lot of times, piano is the core of what's going on. If it's a song like 'Won't Go Home Without You,' it's kind of like the song is standing on the shoulders of the piano. And in 'This Love,' the piano is the pulse of the whole song. Keyboards are the glue that keeps everything together." As he travels the world in support of Maroon 5's fourth studio album, Overexposed, PJ plans to continue to work on his own music, eventually expanding his current EP to a full-length album. "I've been blessed to do some amazing things already, things I never thought I'd do," he says. "I just want to continue to grow, and continue to touch people with this music - Maroon 5 as well as my solo stuff. Make people feel something, even if it makes them mad at me." He laughs. "Wherever that leads me, I'm down with that. It's been great already so far."